Maurice Balme is the former Head of Classics at Harrow. He is the coauthor of Athenaze, the #1 book in the US for first-year courses in Greek, and the author of many other books. 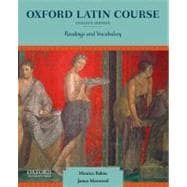 James Morwood has been a Lecturer of Classics at Wadham College, Oxford, since 1996. Before that, he taught Classics for 30 years at Harrow.